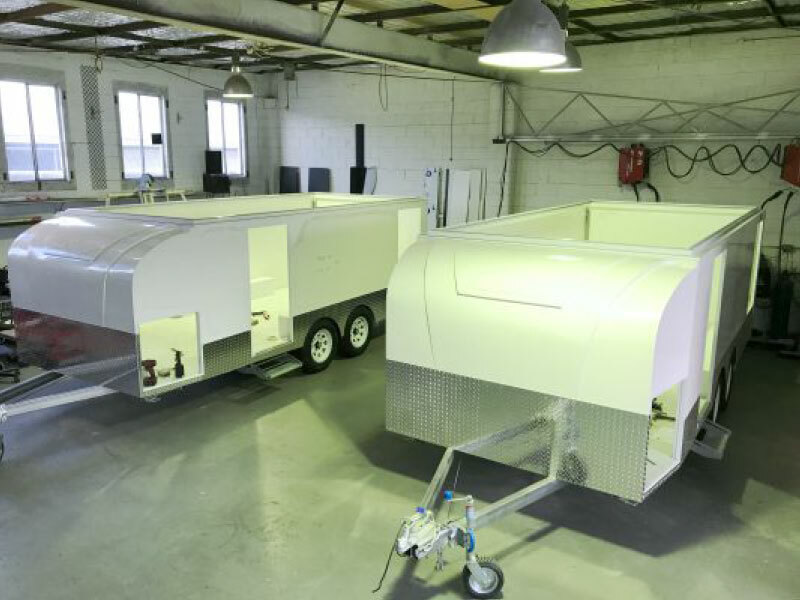 The new fiberglass nose cone has given us our own identity and improved the appearance of the trailers overall. Now as a standard finish on all the models, it has also provided more internal space, strength and sealing quality. We are committed to improving our trailers every year by using the latest construction methods on the market. 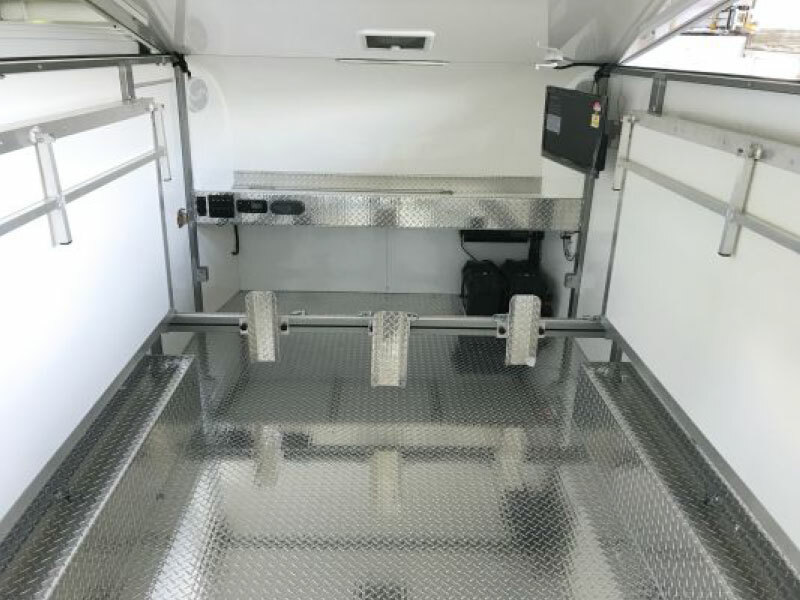 We are now using fiberglass composite paneling for those that want a fully insulated trailer. 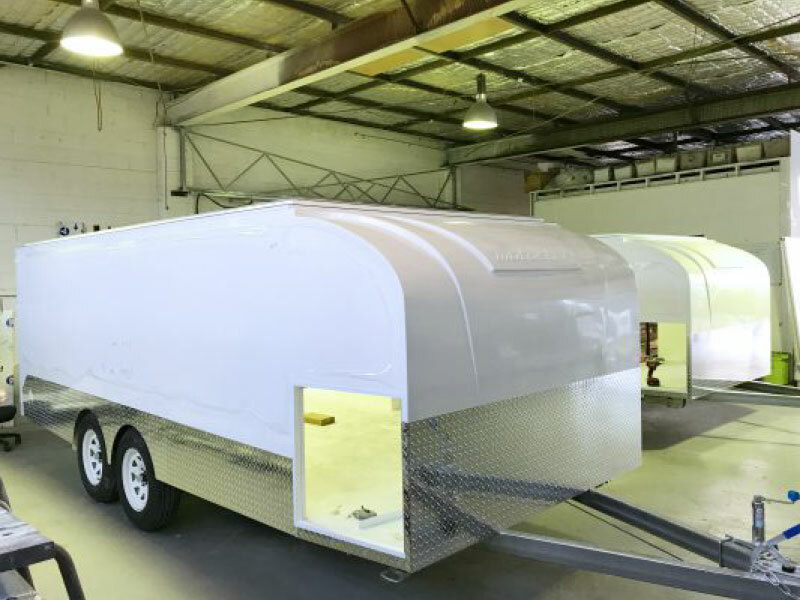 This method of construction is widely used in the caravan industry and is extremely strong, light-weight and has superior thermal insulation. We have upgraded our unique tie down system again this year. 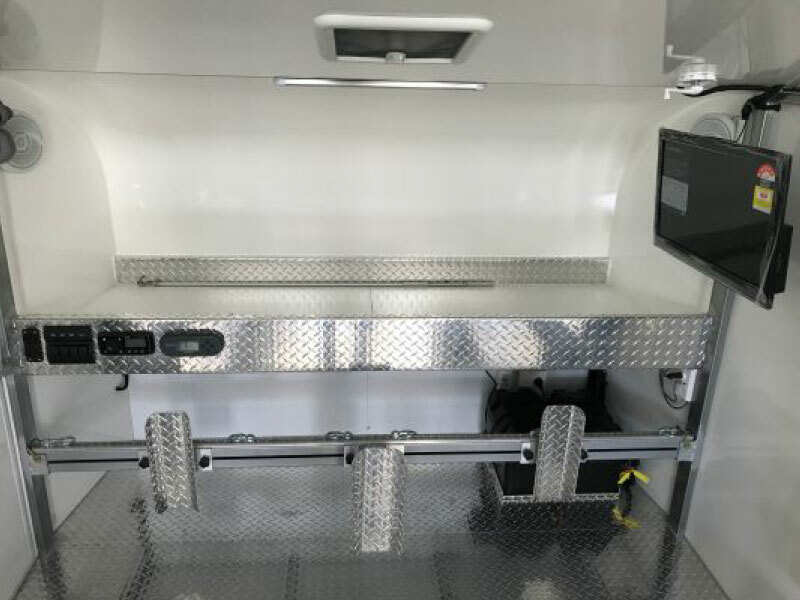 With reduced size and weight of the previous design, it also has fully adjustable cargo track lashing rings, easy to slide wheel stops by knob screws and can still be placed in two positions depending on how many bikes you are carrying. Either in front of the PA door or behind for easy access into your trailer.